Scroll over caption to get manual controls. Sorry, Tim, But Palin is Perfect. Keeping their talent for hyperbole intact, GOP mouthpieces have hailed Gov. Sarah Palin as an experienced executive who leads "the largest state in the union." 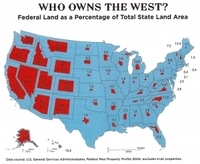 That one's dumb on the face of it, especially since 69% of that land is federally administered. It also had to be hard for Tim Pawlenty, a real puck head, to hear Palin lay claim to being a hockey mom. A hockey mom may superficially look like a soccer mom, but she uses a lot more Lysol and has no oboe lesson transports in the off-season. There are other differences. Since Palin played basketball, I wondered if her hockey momism was real or metaphorical. Number-one son Track was a good hockey player — so good, he spent much of his senior year in high school playing for a midget AAA team in Michigan before joining the Army. Palin's claim is probably legit, although husband Todd now seems to handle most of the household chores. It's okay though, since he's also a champion snowmobile racer who shoots moose, does some commercial fishing and scores a 1/8th on the Yu'pik Eskimo scale. The McCain strategy here appears to be to play to Us vs. Them feelings, with Republicans portrayed as the core of America–the married couples, people with a life–while portraying the Democrats as the marginals–singles, elites, gays, underclass, etc — with the Democrats as the Party of Dying Alone. High schol grad Todd Palin also used to work for BP, pulling down between $100,000 and $120,000 a year as a production operator in an oil-gas separation plant. 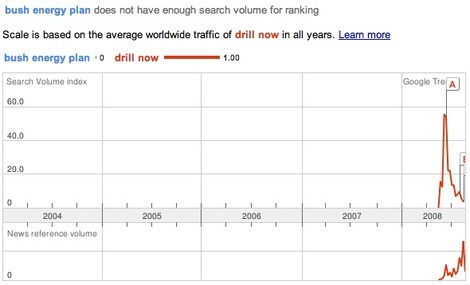 You begin to see why Alaskans love their drilling. Oil royalties and taxes funded 80 percent of the state budget last year. Alaska ranks first among the states for corporate taxes and third for revenue from the federal government. For every dollar in federal taxes Alaskans pay, they get back $1.84. Alaska spends more per capita for education and highways than any other state and ranks third for public welfare. Residents pay no personal state income tax. 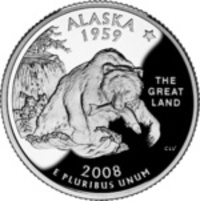 The state also has a $40 billion Alaska Permanent Fund that provides operating revenues, inflation-proofing reserves and dividends paid to residents. The state's national guard units respond to stranded climbers, truck rollovers and men falling off cabin roofs, a service the Army used to provide until there were too many deployments to Iraq. Alaska is simultaneously the most ruggedly independent state and most dependent on government and outside corporate interests for its well being. It is one of the most politically corrupt and technologically backward. It is most remote from mainstream America and closest to an unfriendly foreign power. It has the highest proportion of native people and the lowest proportion of religious people. Plus, it has a pretty good quarter. It is a perfectly emblematic state to carry the standard as the Republican party tries to reinvent itself for public consumption without really changing anything. For people who like to pay attention, Palin's entry in the race could provide an education about the contradictory ways of the west. I'm So Close to Kathy. I'm honored to be a finalist in the Can You Out-Kersten Kersten? contest. Even if I don't win the popular vote (hint, hint), I have done my best to earn Miss Congeniality. Experience is Now Officially Dead as a Campaign Theme. 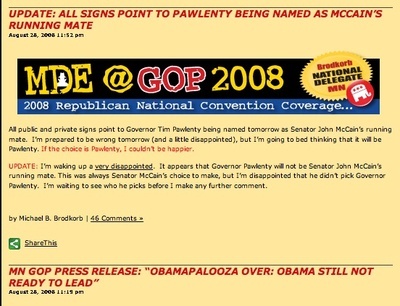 Naw, Pawlenty wasn't well-known enough and Romney would make McCain look short. So how about the old misdirection play? 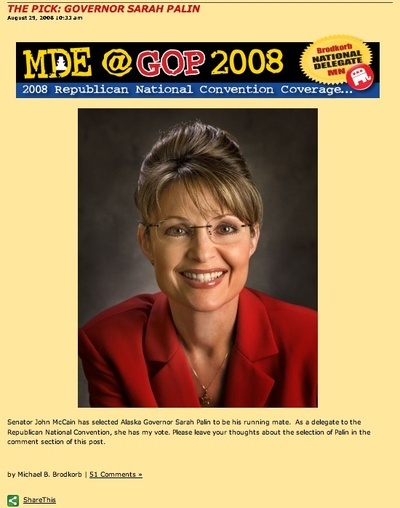 Sarah Palin is even more obscure nationally, but checks a lot of resume boxes to contrast with McCain and Obama, too. Cynics are free to drawn further conclusions. The ex-mayor and former Miss Congeniality of Wasilla, Alaska (Pop. 6715) was elected governor two years ago — like Pawlenty, with less than half the votes cast. Wasilla's bigger than Albertville, but not quite as big as New Prague. Palin, who grew up in Wasilla, would lead her high school basketball team in prayer before games, so we have one qualification in common. Drilling for Words: What Energy Plan? We've heard a lot about the Republican party's passion for an "all of the above" energy policy. Naturally, we'd expect them in an election year to talk about one of the great strategic issues facing the country. Their concern is palpable as they hold a lonely vigil during a recessed Congress, and it will be a theme in next week's convention. Democrats are accused of doing nothing on energy, and their presidential candidate is supposed to be all talk and no action. Still, even lofty talk tends to spike web searches for more information, so I wondered what kind of interest has been sparked since Pres. Bush ran for his second term. 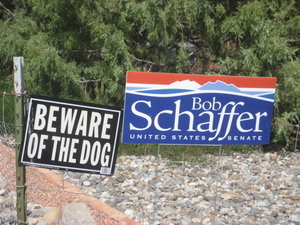 Bob Schaffer is running for Senator from Colorado on the amiable oil company lackey adopting blue campaign colors to disguise a close relationship with Tom Delay ticket. So it all depends on how you define dog. 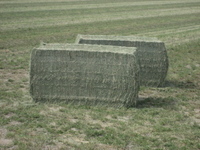 For example, I passed an alfalfa graveyard, commemorating those who died so we could enjoy our hamburgers. Of course, there was also the alfalfa mausoleum. This moving memorial reminds us of those whose difficult but ultimately comfortable lives were forever shadowed by the hard choices made to send plants to premature forage. You may remember the mysterious blue plywood boxes that limned these fields last spring. 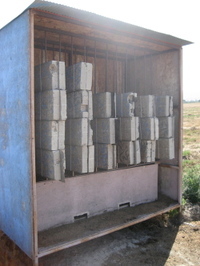 Because they were empty at the time, their rebar interiors made no sense. But in the full of the harvest, their true purpose is revealed. The bees are still in their condos, god is in heaven, and all is right with the alfafa operations along M Road. Nearly a quarter of Wisconsin residents who have registered to vote since Aug. 6 have failed identification checks. For years, Republicans have been telling us that voter fraud is a big problem, and they got through a federal law requiring each state to build a voter registration list that can cross-reference names with other state databases. Look at the top line message on that news item about Wisconsin's new voter registration system, and it looks like former Minnesota Secretary of State Mary Kiffmeyer was right. With the system kicking out 22 percent of the applications entered into the database, you might imagine there was a flurry of felons, illegal aliens, double dippers and dead people planning to vote in the state next door! Nuh-uh. Many of those red flags can be traced to data entry typos, illegible handwriting and people who used a middle initial with Social Security but not on their registration form. Others no doubt have not updated addresses on driver's licenses. Of the news outlets running with the story, my quick check found only one that took it even remotely that deep. Wisconsin was one of the last states to get its system on line, at a cost of about $21.5 million, one third of which was spent with a private contractor who didn't finish the job. Local Color from the Gas Fields. 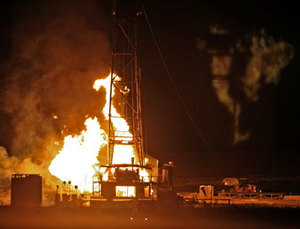 A gas rig drilling about 60 miles from here (near Rifle, birthplace of yours truly) went all torchy last night. The crew escaped injury. Further north, lightning was blamed for a fire that burned a 26,000-acre area where about 30 rigs were operating. They escaped damage, according to the AP. So these are likely to remain local stories — certainly not anything to upset the Drill Here, Drill Now mantra. Of course, Newt Gingrich and Michele Bachmann aren't really here, where there's nothing but brush and it's dark one-third of the time.